Columbine, Virginia Tech, Fort Hood, Aurora, Sandy Hook, Charleston, Sutherland Springs, Las Vegas, Parkland. The list of mass murders in America grows and grows. Why? And what can we do about it? In this Great Debate on Gun Control two of America’s most prominent public intellectuals go head-to-head on this most contentious and timely topic. 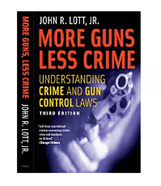 Dr. Lott is arguably the foremost opponent of gun control, arguing in his book More Guns, Less Crime, that if anything we need fewer gun controls, not more. He believes that guns are our foremost means of self-protection from both crime and tyranny. 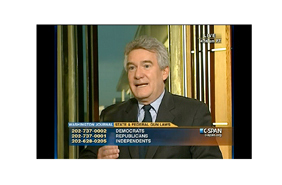 From July 2006 to July 2011, Paul Helmke was President of the Brady Campaign/Center to Prevent Gun Violence, the largest national, non-partisan, grassroots organization leading the fight to prevent gun violence. A lawyer by training, Paul is “Professor of Practice” in the School of Public and Environmental Affairs (SPEA), as well as Director of the “Civic Leaders Center”, at Indiana University in Bloomington, Indiana. Both Dr. Lott and Paul Helmke have statistics, and they are staggering: Over 300 million guns already exist in America, so no one is seriously considering the confiscation of all firearms. Yet, according to the FBI’s crime reports, between 2007 and 2011 the U.S. experienced an annual average of 13,700 homicides, with guns responsible for 67.8% of those. That’s an average of 9,289 people shot dead by a gun, or 774 a month, 178 a week, 25 a day, or a little more than one per hour. Between1980 and 2010 there was an average of 20 mass murders per year (defined by the FBI as “a number of murders (four or more) occurring during the same incident, with no distinctive time period between the murders”) with an average annual death toll of about 100, or 5 per shooting. This averages out to one mass murder every 2.6 weeks, which when clustered in time and covered in explosive media attention intuitively feels like a veritable plague of violence. But an average annual death rate of 100 constitutes a mere 0.01% of the average homicide total. In light of these figures, should we have more gun controls, fewer gun controls, or do we have just the right amount of gun controls? Make up your own mind after hearing these two gladiators debate this most contentious of topics.